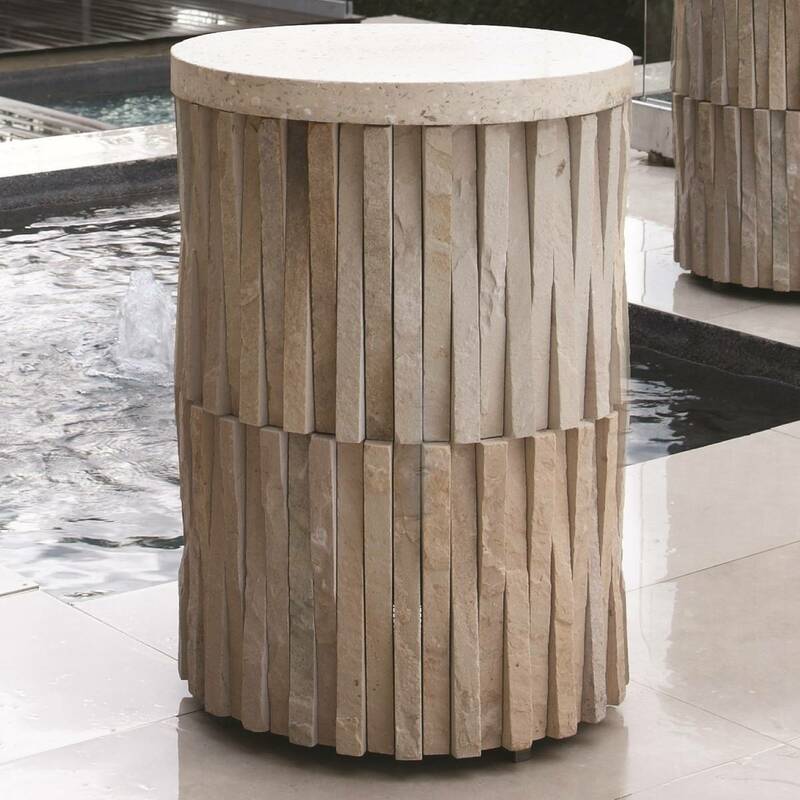 The Global Views Round Teeter Totter Stone Table has been crafted of stone from the deserts of Rajasthan. The stone is meticulously hand chiseled and sculpted by skilled artisans to create this magnificent round accent table. This table features a removable terrazzo top and four adjustable nylon glides on the base. 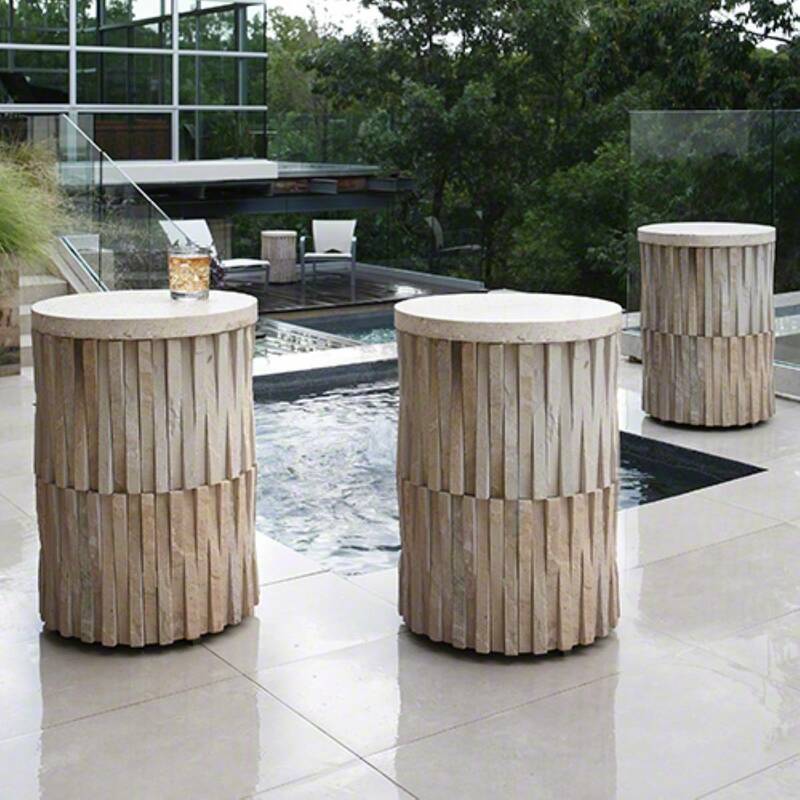 This durable table can be used inside or outside.